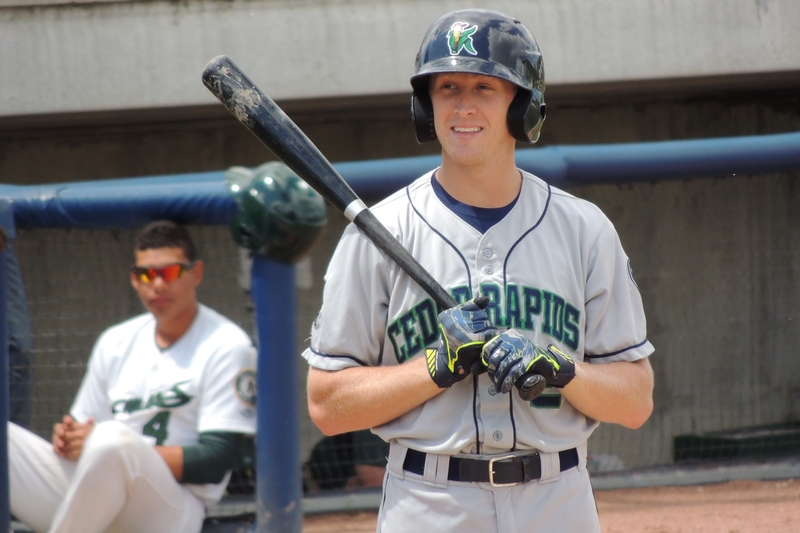 Cedar Rapids Kernels centerfielder Tanner English and South Bend Cubs RHP Erick Leal respectively were named the Midwest League offensive player and pitcher of the week for the period of August 3-9. In six games during that period, English batted .520 (13-for-25) with five doubles, a triple, four runs batted in, eight runs scored, two walks and two stolen bases. Overall this season, he is batting .267 with 5 HR, 35 RBI and 35 SB in 100 games. Leal made one start, and had his team given him any run support in that game, he would have pitched a no-hitter. 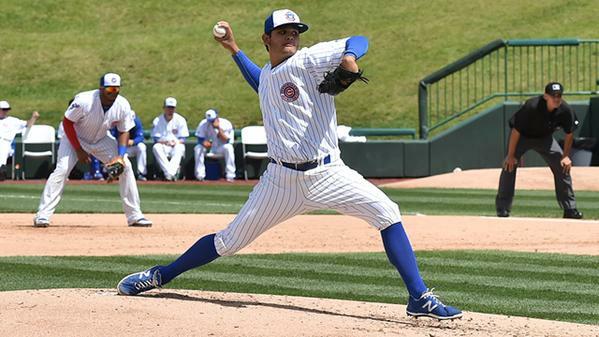 He gave up only one walk and struck out four in nine hitless innings against the Kane County Cougars last Tuesday. Leal was taken out of the game before the start of the 10th inning, and the Cougars ended up winning 1-0 in 12 innings. Leal is 7-7 with a 4.12 ERA, 60 strikeouts and 27 walks in 102.2 innings (18 starts) for the Cubs this year. This entry was posted in Cedar Rapids Kernels, Kane County Cougars, Midwest League, South Bend Silver Hawks. Bookmark the permalink.